Horse Racing In Australia – A Noble And Historical Tradition. Horse racing in Australia is one of the most popular sports both to bet on and to go and watch. The thoroughbred industry provides thousands of jobs and turns out world class horses which go on to compete not only on the continent itself but overseas as well. The history of thoroughbred racing in Australia dates back to colonists times when homesick settlers used to group together to watch a sport which brought back memories of their lives in Britain. Horses are not native to Australia, and so had to be brought over by ship from other colonies. The first horses to set hoof on Australian shores was thought to be a stallion, one colt, three mares and two fillies, all from Cape Town South Africa. From 1778 to 1803 a number of other horses were imported many of which being of much better blood lines. One of which was an Arabian stallion called Old Hector. Hector’s bloodlines can still be found in some Australian thoroughbreds today if you look back far enough. Initially, horse racing in Australia was conducted on a very casual level. There were no official tracks, and owners, many of which were army officers, simply got together and raced their horses on whatever flat surfaces they could find. By 1810 however, horse racing had become much more established with the first track being built at Hyde Park in Sydney. The Australian Jockey Club was next to be formed and held its meetings at Homebush from 1842 to 1859 until they moved to the big new track at Randwick. Victoria saw its first track set up at Batman’s Hill in 1838, and soon after the Victorian Racing Club was formed which is still in action today. 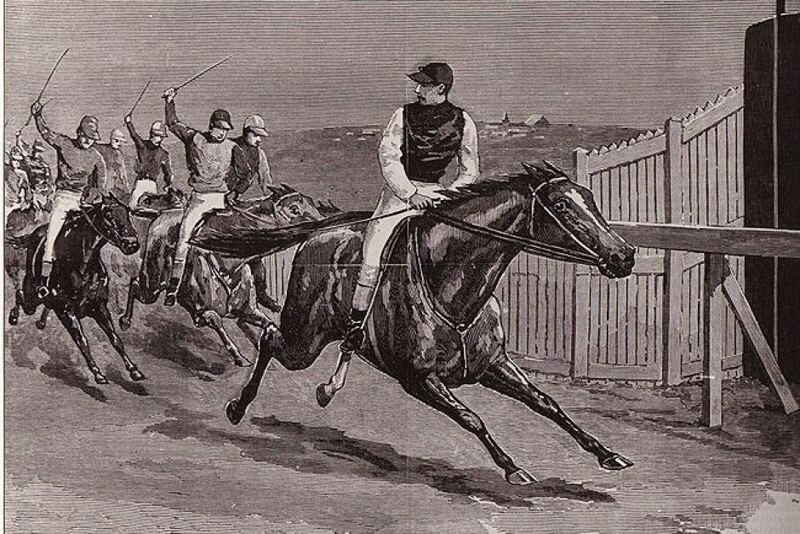 By 1883, 192 clubs were in operation, all of which fell under the rules and regulations of the Australian Jockey Club. As it is well known, Australians will bet on anything, particularly horse races. To do so there had to be bookies set up at the tracks to take punters bets. The only exception to this was in South Australia in the 1930’s when bookmakers weren’t allowed on the race course. This had a lot to do the prohibition in America and the way the world was going at the time. Totaliser betting was established in the late 1800’s and run at the time by the various governments. This allowed punters to place bets at the track and benefit from the general betting pool should their bets be successful. Of course, these days one can place bets from wherever thanks to a number of Australian sports betting sites. As the thoroughbred grew in popularity as a race horse, a number of breeding and training stables were founded all around the country. The best known and most significant breeders were Robert Campbell, Lieutenant William Lawson an explorer, John Macarthur a wool pioneer, John Piper a military officer and Dr D’Arcy Wentworth. The later trainer Charles Smith bred and trained the mighty colonial stallion Sir Hercules, whose bloodline can be found in thoroughbreds all over the world today. Training was mostly done at the farms where the horses were bred, with breeders being trainers and owners as well. From there thoroughbred racing took off in all senses of the world. Jump racing was established and sparked its own industry. To this day Australian thoroughbreds are valued as some of the best in the world.